We may never be able to directly look upon the far side of the moon from our vantage points here on Earth, but a breathtaking new image could be the next best thing. 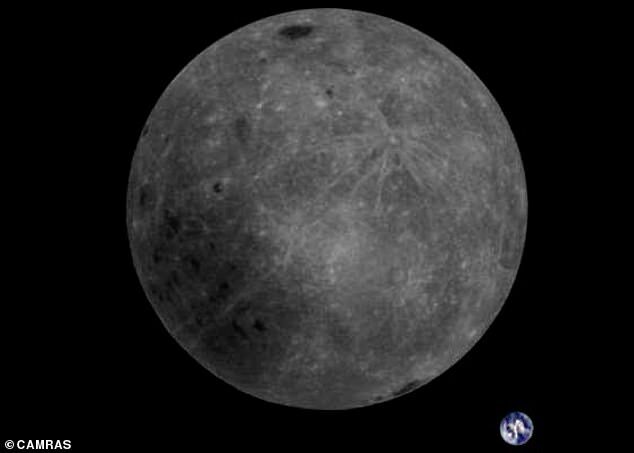 The incredible photo captured by radio amateurs using the Chinese Longjiang-2 satellite shows not only the entirety of the moon’s far side, but Earth sitting behind it in the distance, too. The amateur team downloaded the image with the Dwingeloo Radio Telescope in the Netherlands after their satellite snapped the view. The far side of the moon - colloquially known as the dark side - actually gets as much light as the near side but always faces away from Earth. 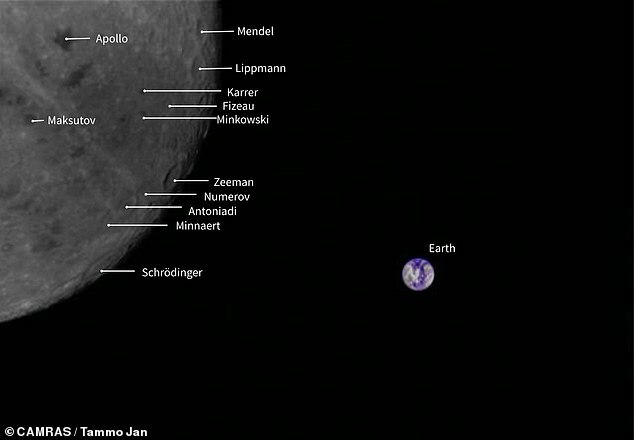 The far side of the Moon was first observed in 1959, when the Soviet Luna 3 spacecraft returned the first images. In 1968, astronauts aboard the Apollo 8 spacecraft were the first humans to set eyes on the far side in person as they orbited the moon. Since then, several missions by NASA and other space agencies have imaged the lunar far side. China's Chang'e-4 mission that landed in January 2019 was the first to touch down on the surface of the far side. The photo captured on February 3 is the latest effort of a team led by Harbin Institute of Technology, which launched twin micro-satellites last spring with China’s Queqiao satellite. While one of the instruments lost contact, Longjiang-2 has continued to operate, and started up again last month following a quiet period designed to avoid interfering with the Chang’e 4 lunar landing. ‘The first opportunity to take photos of Earth and Moon were on 3 February, on which a command was sent to take another timelapse,’ astronomer Cees Bassa wrote in a new blog post. 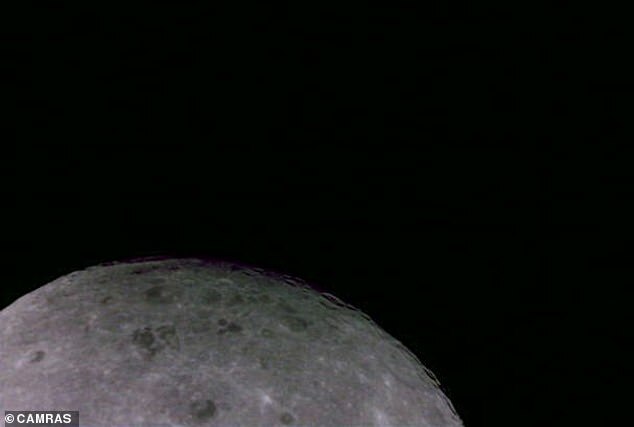 In the past, the team has managed to capture a look at Earth sitting far behind the moon, but was only able to get a chunk of the lunar surface in the photo. The satellite is fitted with an amateur radio transceiver which allows it to communicate with radio amateurs on Earth. Setting up the shot and receiving the data is an exhaustive, carefully planned process, the team explained. ‘While receiving signals from satellites in low Earth orbit requires only relatively simple antennas, doing so for satellites in orbit around the Moon (a thousand times more distant), is much harder,’ Bassa explained in an earlier post. The system allows radio amateurs to send and receive data, giving the satellite commands for when to shoot photos. The researchers have released the full color adjusted images throughout the process on their blog.